Somalia has been without a unified central government since 1990. The northern region of Somaliland declared its autonomy in 1991. The current Government of Somalia was established in 2012, but is limited geographically in its influence. The threats of humanitarian disasters, extremist militias, and further fragmentation of the state remain significant. This U.S. Agency for International Development-funded program worked to increase the visibility of, and confidence in, government by improving government service delivery. The TIS team worked with local leaders and groups to create collaborative partnerships between government institutions, the private sector, and civil society, and increased access to information needed to promote peace, recovery, and development for Somalia. 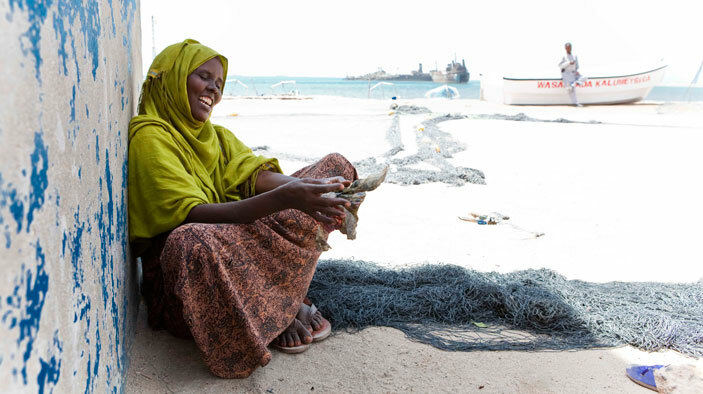 Our work with local collaborators was designed to help the Somali people achieve greater stability by encouraging economic growth, strengthening public confidence in government, enhancing cooperation between groups, and improving personal safety. TIS grants and the work done through them was planned and carried out in the context of Somali culture and values, with Somali ownership of all activities. Jointly identified small grant priorities with government officials, civil society members, and public sector representatives. Provided diaspora technical assistance, office rehabilitation and construction, furniture, equipment, local market rehabilitation, playground construction, street light installation, water storage and treatment plants, and youth entrepreneurship programs. Conducted large-scale garbage clean-up, employing vulnerable populations. Fostered linkages between civil society and national and local government bodies to support transparent, local decision-making processes. Created enabling environments for business. Engaged 1.1 million Somalis in peace and reconciliation activities. Created 1,019 local employment opportunities. Awarded 95 construction contracts to local companies to promote transparent tendering and economic development. Facilitated 19 community consensus building processes, resulting in the design of peace dividends activities. Constructed 67 kilometers of roads in Puntland and Somaliland.